It was the Spring of 2016 when I first met a dynamic and energetic artist during the opening of a show I curated at Parenthesis Art Space in New York. Christy, known as “Christybomb,” attended the opening. Since then, I have been following her career and getting to know her better through the Art NXT Level Program. In December of 2016, I had the chance to see her at Scope Miami Art Fair during Art Basel week. It only took me a few minutes to realize her work was one of the most exciting and popular works at Scope. A vast number of people stopped to contemplate her work, look up close and took pictures or selfies in front of her work. Christybomb produces work that is playful, detailed oriented, visually inviting and in a refreshing way unapologetically “happy.” Approaching her work provides an entry way, if only for a moment, into a world of intriguing fantasy, playful youthfulness, and child-like memories where the unexpected realities of our complex life experience collide with the parallel realities of Christybomb’s material dreamscapes. See her work this month in Chicago at the LAYERED exhibition I curated for the Art NXT Level Projects gallery. 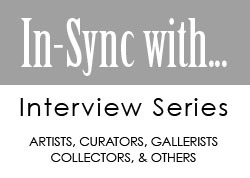 Enjoy my interview and get in-synch with Christybomb. SG: Where did you go to school (college/university) and what degree did you receive? C: I received my undergraduate degree in biological sciences from the University of North Florida. I stayed on at the University after college, working in a Biosafety Level 2 Laboratory, conducting research on pathogenic bacteria, such as Anthrax. I then moved to Japan and worked in a private educational system, specializing in culture and language. I then attended the School of Visual Arts in Manhattan, where I received my MFA in Fine Arts degree. Since graduation, I have been fortunate to be able to work full time as a professional artist in the visual fine arts. SG: What is the best advice you have ever received? C: In a sense, the overarching goal in my work is transcendence. It is the idea of transporting viewers, if—just for a few moments—to that worry-free, childhood happy place. My artistic creations draw inspiration from the happiness, innocence and youthful fantasies of my childhood, such as Candy Land, Hello Kitty and Willy Wonka. At the same time my work is also influenced by over-the-top trends and looks of avant-garde fashion, cosplay and drag queens. C: I’m currently working on my Heartbomb collection, featuring over-the-top wearable fine art, for my upcoming solo show “Heartbomb.” I’m inspired by my recent trip to Europe…Paris and London, specifically. When you travel to other countries, your senses are saturated with so many new and wonderful sensations, which for an artist is a playground of inspiration! I work intuitively, so a lot of my experiences bleed into my creations. Additionally, making art out of throwaway materials is my passion. It is much more of a challenge for me to work with atypical materials, than work with the same-old traditional elements. In the end, my works need to be fabulous, bold, and avant-garde…in other words, “Christybombed.” When I can elevate a material and generate happiness for others, I feel great accomplishment. There is also an element of doing my part to conserve in our consumption society. C: I am known as the “glitter queen” so the glitter altar is a must. I have glitter in all shapes, sizes and colors. I am an equal opportunity glitter lover. It makes me happy. Glitter therapy anyone, lol? Also, my handy dandy glue gun is not far from my side. I love precise tools, which probably has carried on from my mad science days; so tweezers, scissors, wire cutters, etc. are a must. I like to have everything within arms reach, so all my ingredients are close by in neat, clear containers on the ready. My sweet Cocobear (Yorkshire terrier) is always by my side and a constant muse. She is an endless supply of inspiration and love, two things I cannot live without. My baby Dobermann, Rocco Benedict, is welcome anytime, but he prefers a more active lifestyle. I also need DirectTV going with something mindless yet occasionally funny. My computer and iPhone are handy for ordering supplies, answering emails, and doing random internet searches. I probably receive a box or two in the mail every other day. I work on the floor like my mom does in the kitchen, which is always funny to explain to visitors not familiar with the Korean culture. I have a selection of just about every art magazine available at arms reach, but I typically just flip the pages quickly to see what’s going on and chuck them. As far as other art essentials, in general, I have an obscene mix of whatever medium I happen to be using at that time; for example, if I am using string, I want every possible color, pattern, texture or size available. SG: What’s your favorite social media outlet and why? C: For me, as a visual fine artist, I think Instagram is by far best platform at the moment. It seems to have the most curated, relevant content for the visual arts, and I am not forced to read something. Twitter may also be good, especially for when I need to bust out my Trump-like rants…but I like the fact that Instagram is visual and word-optional. I admit, although I don’t Snapchat, I love all the fun filters! C: My biggest challenge is myself, constantly pushing myself for the next bigger, better thing. I also have unique challenges being Korean in a white world and being female in a man’s world. Being Korean brings internal struggles, such as feeling that I would only be “successful” if I were a doctor. It also brings preconceptions by the general population that need to be overcome. As for being female, art has been dominated by males for hundreds of years, and it does not seem to be changing anytime soon; that said, I’m pushing forward and hope to bring my “Bomb Squad” with me! SG: How do you define a success? C: Success is being happy with yourself at the end of the day when you put your head on your pillow at night. It is living with integrity, and by being your true, authentic self. C: My solo show “Heartbomb” is opening on Sunday Feb 12, 2017 2 – 6 pm as a Pre-Valentine’s Brunch Spectacular. BAF gallery (210 24th St. Brooklyn, NYC 11232) is going to be Christybombed out to the max! There are lots of surprises in store for this show! After that, I was offered the Featured Solo Artist spot at [Solo], the juried section of Artexpo NYC, one of the largest fine art trade shows in the world. It takes place on April 21-24, 2017 on Pier 94 in Manhattan. You can get the full, immersive Christybomb experience at this exhibition! Perhaps the most exciting news is that I was recently signed to a licensing agency. Be on the look out for Christybomb-branded products at a store-near-you soon. I am still on my high from showing at SCOPE Art Basel Miami, and continue to maintain a hectic schedule, which I hope to pear down this year. I have another solo show in the works, countless group shows, art commissions, and hopefully (only) one major art fair. 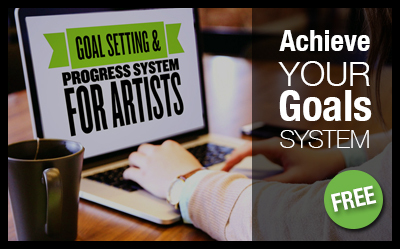 C: The Art NXT Level Program has been invaluable to me. The community is unique in that it is a land in which artists actually help each other. Sergio is the most helpful and generous artist I’ve ever met, with a fund of knowledge as deep as his heart. He’s a true gem. Place to be inspired by: Paris, France. Oh, and Paris…France. One sentence advice for an art student: Always follow your gut instinct and get comfortable in your own skin. Don’t take every criticism personally, yet try to see everything (even the ones that hurt) as an opportunity for growth. YouTube video: I love any animal video, especially ones with puppies.